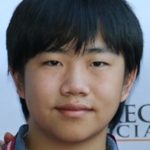 Perry Chen, Movie Reviewer, is a 16 year-old award-winning animator, film and entertainment critic, artist, and TEDx speaker. His first animation short “Ingrid Pitt: Beyond the Forest” is a 2011 Oscar-qualifying film that won three U.S. film festival awards and premiered at LA Shorts Festival and Comic-Con in July 2011. He is writing, animating, and directing his 4th animation short “Changyou’s Journey,” about his late father. As an influential young film critic, Perry is a frequent star on the red carpet at film festivals, awards, and premiers, interviewing renowned filmmakers from such hits as Frozen, Toy Story, Up, How to Train Your Dragon, and Kung Fu Panda. Perry won the prestigious San Diego Press Club Excellence in Journalism Awards in 2010, 2011, and 2013 for his movie and restaurant reviews. Perry also won Junior Innovator of the Year Award at the 2013 2nd Screen Global Con. Aside from watching and making movies, Perry loves to make art: drawing, origami, sculpture; as well as reading, writing, cooking, fine dining, and exploring nature. He also writes for Animation World Network. See his movie blog at: www.perryspreviews.com, watch his filmmaker interviews at www.youtube.com/perryspreviews, or fan him on Facebook.